Last week was cold for San Francisco so I wanted to make a hearty stew. This recipe came from the Japan Miso Promotion Board, but there's more red wine in it than miso. The combo intrigued me, plus it gives me a good forum to talk about using red wine in cooking. The recipe calls for 3 cups of red wine. I measured them out and discovered that left about a glass of wine in the bottle. Presumably this means 3 cups for the stew and one for the chef. The question is: which red wine? My apartment is awash in red wine: bottles that people send me as samples. I wouldn't feel guilty about opening any of them, even a $200 Cabernet, to cook with because people sent them to me to taste, not drink, and of course I would taste the wine before turning it into stew. But would a $200 Cabernet be the right choice? No, it would not: not because of the price, but because a good Cabernet would be more tannic than I want for my stew. * Fruitiness. Miso is earthy on its own, and the stew would contain vegetables, so I wasn't looking for a wine dominated by savory characteristics. * Good flavor. Bad ingredients make bad stew, whether it's yellowing broccoli or sour wine. * Yet I wanted a particular niche of "good flavor:" If the wine was too delicious, I would regret cooking with it. It had to be delicious but replaceable. * Alcohol percentage. Two hours of simmering boils off 95% of the alcohol from wine anyway. * Body. The two are related. I'm sure the stew will taste different with a light-bodied or heavier-bodied wine, but I'm not sure which will be better. There was no reason I couldn't put a $50 Merlot in my stew, and I opened one, but it was too tannic. I expected to use a Bonarda from Argentina, but the one I opened was underripe and, while serviceable, wasn't something I would enjoy drinking. I could do better. Then I opened Shooting Star Lake County Pinot Noir 2015 ($14). It was exactly what I wanted. It's fruity and delicious -- cherry fruit with a light body -- but also pretty straightforward. I could drink it happily enough, but it's not so complex that I would regret stewing it. 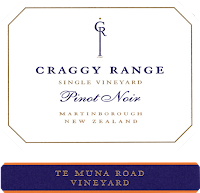 It's an excellent $14 Pinot Noir, and if I was doing an article on excellent Pinots under $15 I would have to include it, but I'm not. I made the stew, and it turned out terrific! Even though I used a recipe I was inordinately pleased with myself for producing dinner. Men, right? The miso gave it the hearty taste of food from Japan's rugged mountainous interior, but I never had a dish quite like this in Japan, or anywhere else. 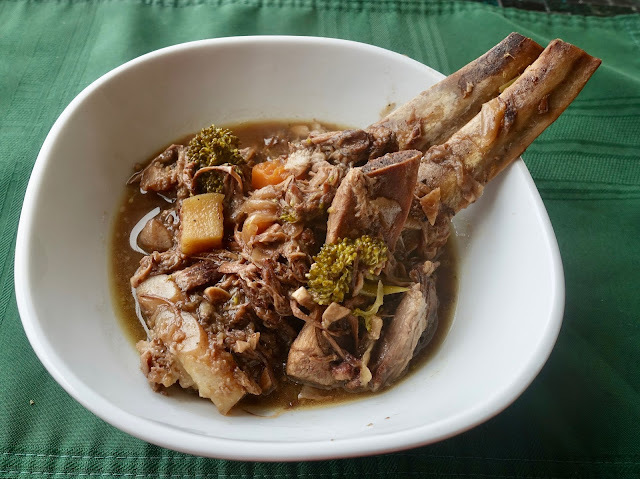 If you look at the ingredients, it's pretty healthy as hearty stews go: the richness comes from the tender pork that falls off the bone after a few hours. The broccoli is still pretty firm, being added late, so it has interesting texture. It's really easy to make and the miso is the only ingredient that might be exotic for some chefs: pick it up at an Asian food store. I used red miso, but any miso would work. Be advised that you have to marinate the ribs a day in advance, so you have to plan ahead. I didn't notice that the week before so my weekly home-cooked dinner almost became grilled-cheese sandwiches. I'm still saving that option; I make a mean grilled-cheese sandwich. 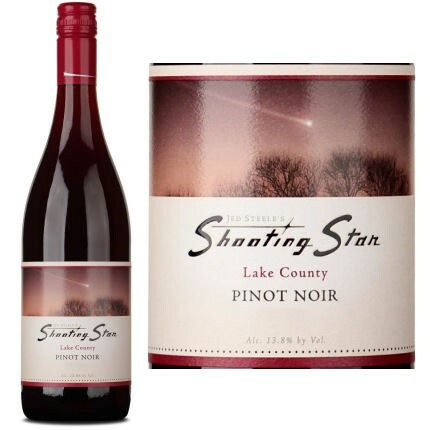 As for the Shooting Star wine, an excellent $14 Pinot Noir, you can buy it here. To drink with the stew, it seemed to make sense to have Pinot Noir. 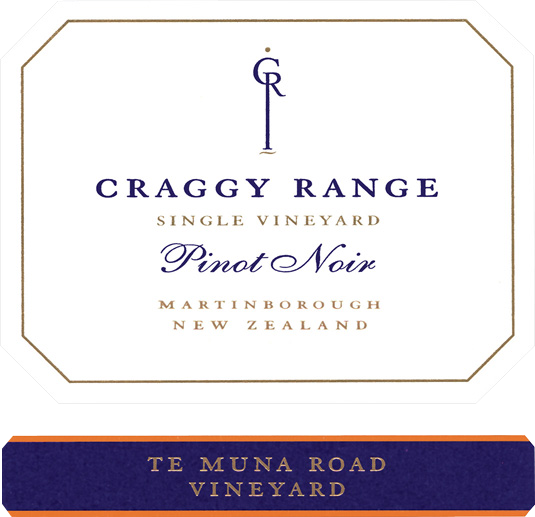 I chose Craggy Range Te Muna Road Vineyard Martinborough Pinot Noir 2014 ($38, 13.%% alcohol). It had the bright fruit that I wanted to echo the stew but also a noticeable stony minerality and a brisk freshness. Like the stew, it may have been even better the second day. You can buy this wine here. Please note: apparently unlike all the successful mommy bloggers (that story is a little shocking), I was not paid for this blog post by anyone, though I did get the wines for free. Sigh. I may be getting better at cooking, but I gotta work on this blogging thing. So you got me to visit the embedded link referenced article titled "How the Mom Internet became a spotless, sponsored void." "The death of the mom blog has something to do with shifts in how people consume and create on the Internet. Blogging on the whole has fizzled as audiences and writers have moved to other platforms." "Financial interests also clearly shape how people tell stories on the mom Internet now. 'Advertising got a foothold and started having more and more say in things,” [Heather] Armstrong [who launched Dooce.com mom blog in 2001] says. "Over time, mom bloggers, with their thousands of followers, became enormously influential, and, as with athletes and other celebrities, their endorsements became valuable to marketers. Companies send influencers free products they might recommend, sponsor giveaways and pay for posts. Some affiliate programs such as RewardStyle pay when readers click on their links. "The result is blogs . . . where photos are the main event and the writing seems to exist solely to sell stuff." "As advertisers shifted to sponsored content, they paid bloggers less for more-traditional ads. Armstrong says a banner ad atop her blog would have sold for $15 before 2011; now those same ads won’t sell for 25 cents." "More than a million followers have disappeared from the accounts of dozens of prominent Twitter users in recent days as the company faces growing criticism over the proliferation of fake accounts and scrutiny from federal and state inquiries into the shadowy firms that sell fake followers. "The people losing followers include an array of entertainers, entrepreneurs, athletes and media figures, many of whom bought Twitter followers or artificial engagement from a company called Devumi. Its business practices were detailed in a New York Times article on Saturday describing a vast trade in fake followers and fraudulent engagement on Twitter and other social media sites, often using personal information taken from real users. Twitter said on Saturday that it would take action against Devumi’s practices. A Twitter spokeswoman on Tuesday declined to comment about whether the company was purging fake accounts." I make almost this exact same recipe except I substitute the red wine with a bottle of Guinness (or other stout) and 2 shots of espresso. Pairs well with pale or red ale or a Grenache based rhone blend. Shopping for and cooking a meal for my family is one of my great joys in life...so I hope you catch the cooking bug!